When a mother and a baby mutually decide that breastfeeding should come to an end -- which hopefully this is the situation -- the best way to do that is for mom to simply drop one feeding or one pumping a week. 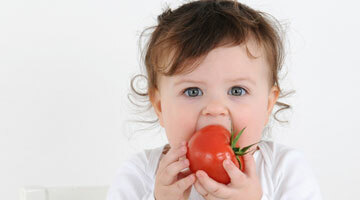 Depending on the age of the baby, that feeding is replaced with formula. If the baby is really young, the milk needs to be delivered in a bottle, if they are older, they can have a cup. If the mom is in a hurry, if she has some health issues, she has to go on medication suddenly, has to have surgery, something along those lines. What the mother can do is simply stop the breastfeeding completely. Then using a pump, do nothing, but when the breasts get really full, you pump enough out of them to relieve the pressure. That takes about a week. The first way is nicer to mom and baby. It takes about a month.